Flour, sugar, butter, CROWD SOURCING, eggs—really??? How and when does crowd sourcing go into a recipe for success? Michael Gassen has a talent for baking. 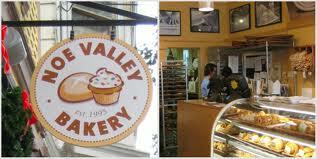 His wife and partner Mary has a talent for running their Noe Valley Bakery. Together they have navigated through the baking fads and neighborhood changes to produce award winning desserts, while keeping up the changing demands. Do you change to gluten free or dairy free or not? What about the changing demographics in Noe Valley? How do you keep the old customers and please and attract the new residents? They have a story that is more than the recipes for cakes, pies and cookies. Following, will be the usual, delectable lunch menu served by the fabulous Foreign Cinema!